The month of Elul, the month preceding Rosh haShanah is a good moment for taking time out to contemplate the last year…. or to look at our lives as a whole. Its a moment when quietly we can be truthful with ourselves and see which of our thoughts, actions and words were in line with our own highest values, and where to be frank we let ourselves down. Thoughts of our own slip-ups are painful and sorrowful and our most likely response is to push them away. A different, more healthy response that will bring us into a more aware consciousnesses, is the message of the shofar. 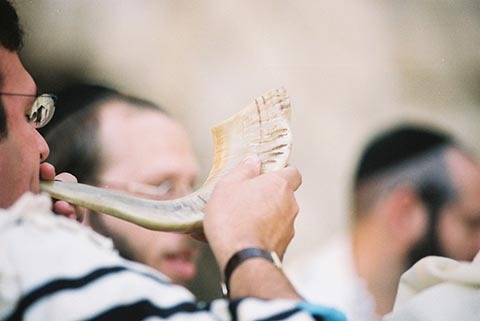 The Zohar teaches us that the sound of the shofar is the voice of compassion, the voice of loving-kindness. It awakens us to Teshuvah, because the ultimate source of our unhappiness and of our mistakes is our disconnection from our Source. But words that were said, can’t be unsaid, and actions that were taken. now exist. So what can we do to mend things? This loving-kindness manifests in the sound of the shofar. 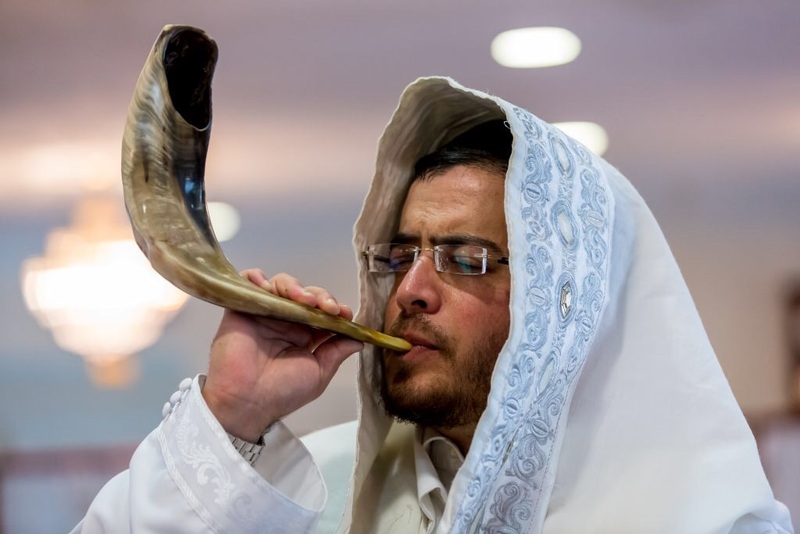 The voice of the shofar opens the opportunity to make good , to undo , to come back fresh…. and to a new start. This is the miracle of Teshuvah: Teshuvah is returning home. It is returning to our Source. Before the world was created Teshuvah was created. Before Man came into being, the possibility of return was built into the whole scheme of things. 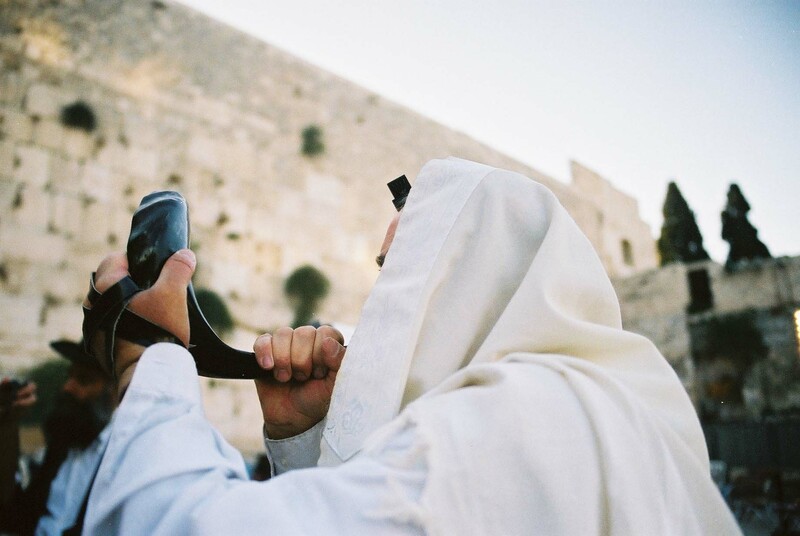 The call of the shofar, is the call of compassion, of mercy and of bringing us back home. May we all be blessed with a sweet and happy New Year. People often approach the high holidays with some feelings of guilt or dread. Much of this is based on misinterpretations of classical texts. Rabbi Ashlag, by teaching us the spiritual roots of the language helps us correct these faulty ideas and discover how wrong we have been. 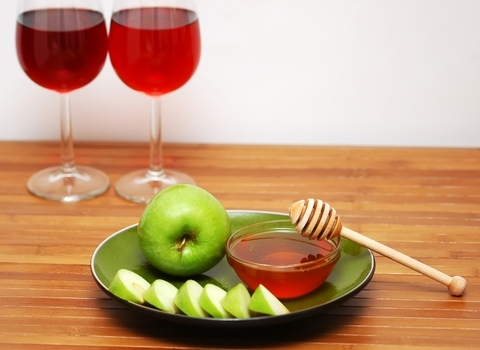 This particularly apples to the festivals of Rosh Hashanah and Yom Kippur, transforming them from occasions dreaded, to festivals of happiness and joy. 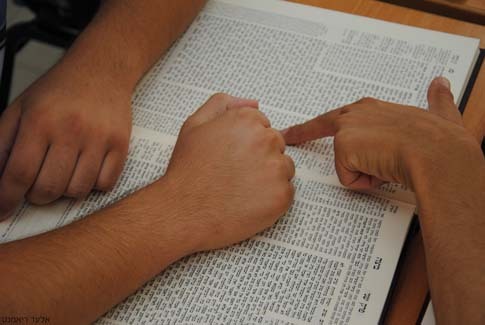 The Talmud states that on Rosh Hashanah three books are opened: the book of the righteous, the book of the wicked and that of those in-between. In the language of the Kabbalah “a book” is a vehicle of consciousness, “life” is the affinity of form with the Life of all Lives, and the wicked is the will to receive for ourselves alone. Thus we see that the books that are opened are consciousnesses within us and the judgement is our own. Which choices will we make? Let us pray to the Creator that we may choose that which gives goodness to our fellow and is compassionate, writing our postive selves for life and sustenance and letting die our ego- orientated selfish desires. As the cycle of the new year starts anew, we start the tikkun of the Malchut again. Just as she came forth on the fourth day of creation so she comes forth again on the morning of Rosh Hashanah . But the light of Chochmah, with which she was endowed, is too strong for the souls, and there is a fear that if that light were to be left as it is, it would cause great suffering in the world, as we would receive it for ourselves alone. To avert this, and to balance the light , we invoke the light of loving kindness by blowing the shofar. This action, conducted by Jews the world over, brings the light of Binah, the light of compassion into the world. Now, more than ever, the world needs the precious light of compassion. May we merit to hear the sound of the shofar in love this year. Amen. The works of the Kabbalah are often technical with language that seems foreign to us. What are they really talking about? Why is it that purity of heart and loving-kindness help us understand the material in question, why isn’t intellectual aptitude enough? 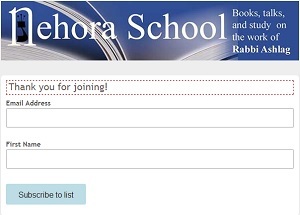 Rabbi Ashlag wrote introductions, essays and letters to his pupils, which use language with which we are familiar. So we think we understand them. But the more we go into these works, the more we realize how deep they are, with many shades of meaning. As we work on ourselves, their meanings seem to change. However, all these works are based on the work of the Ari and of the Zohar to which Rabbi Ashlag wrote more technical works that use language that seems foreign to our ears. As we grow in both our inner work and in our learning we begin to see that both these types of writings are actually talking about the same issue. How we can rectify ourselves and fulfill the lives we were created for. Looking forward to the high holidays. Yes it is possible!